Have you remembered the fights with mutant cockroaches in Fallout video game series? 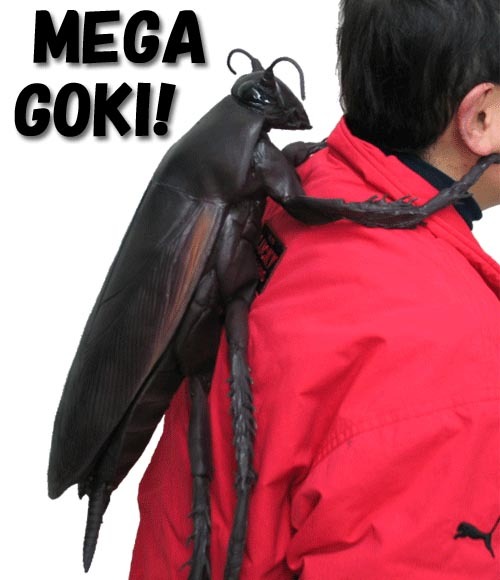 Now a mega cockroach has come to our real world for surprising your friends. This is a huge cockroach model that measures 65 x 37 x 12cm. As we can see from the images, the huge infamous black beetle is on the back of an adult, while the Japanese word on the image means “terrible”. 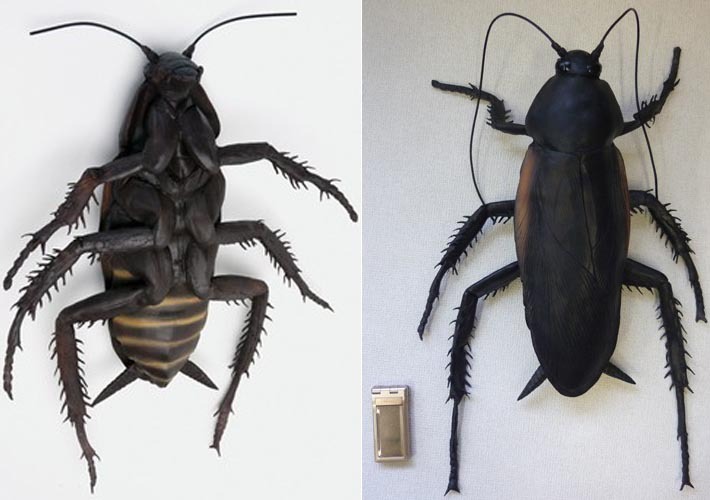 In addition to huge body, the creature model also features subtle detail and realistic coating in order that the model looks like a real mutant cockroach from the fictional wasteland in Fallout video game series, so never put the nasty creature on your grandma’s back, the highly detailed mega cockroach model just fits to surprise your friends. The mega cockroach replica is priced at $73.16 USD. Of course, it’s not from Fallout series but Japan. If you’re interested, jump to GeekStuff4U for more details.